Have a beautiful kitchen that is built to look that way, for today and long into the future. We are up on all of the new kitchen design trends. So get as contemporary as you want...its all possible. Every project is unique. We work with you and your budget to get the best product that is affordable for you. 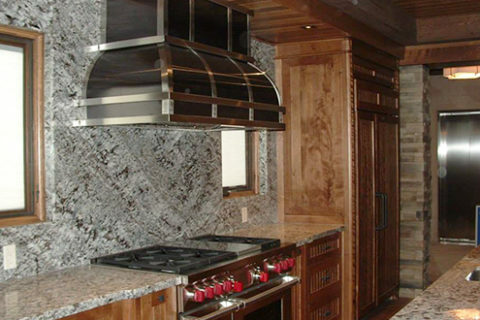 For over 20 years we have made custom kitchens our passion. 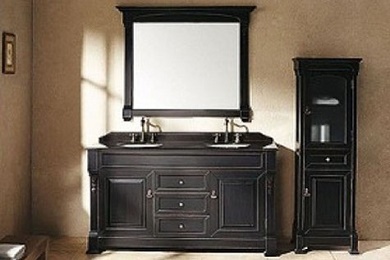 But we also build bathrooms, media cabinets and bars. We are here to make things simple and enjoyable. We will be with you through the process from beginning to end…if that’s what you want. We will help you design, plan, budget, work out timelines, find reputable sub contractors, installation and of course peace of mind. 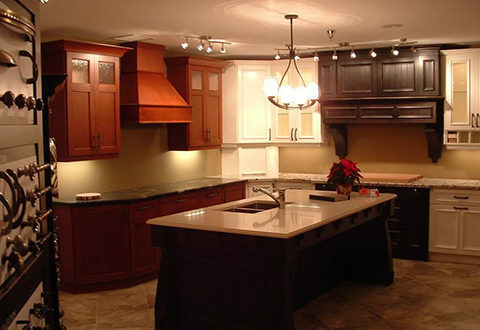 Started in 1993, Ritchie Custom Cabinetry has come a long way. 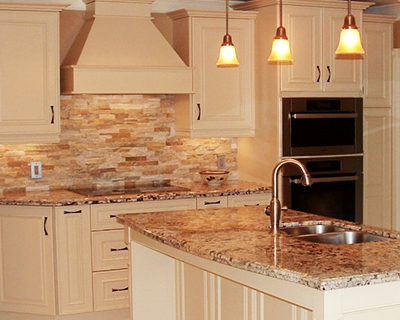 We love our business and over the years have mastered the art of custom kitchens. We are proud of our reputation of providing a high quality product on time and on budget. We are small company that can take on any size project. We do the design work for you. Its a detailed quote with all the plans, elevations, break down of costs, design options, timelines, etc. These are a lot of work and we are more than happy to do them! We do however ask for a small deposit for the plans which is 100% refundable once we have signed the contract. This is the fun part. A face to face meeting where we nail down the details. 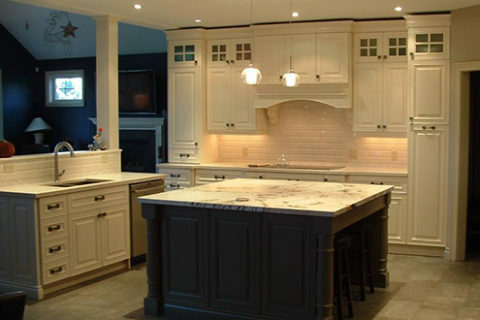 We will go over all aspects of the construction , interior components , door styles , colour and counter top options. This is where you get to personalize your project. We will work together getting the best results based on your budget and timeline. After we have hammered out all the details of your project we can now sign off and get started! We ask for a deposit which is 1/3 of the total project. We make sure you are happy and clear about the process. Now you can get excited that in 4 to 6 weeks, on average, your new project will become a reality! An easy step-by-step guide to measure your space properly. Experience is something that gives you peace of mind knowing we know what we are doing…start to finish. Because your dream project is far too important to be left to chance. We have you covered. We stand by what we say and what we do. Honest. Dependable. Ethical. 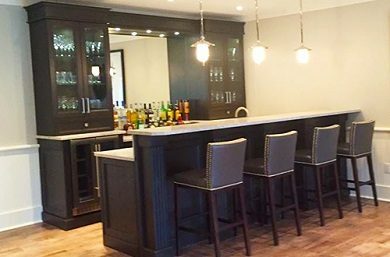 "My kitchen went from being old 1950's to a magazine worthy modern open concept kitchen in just 2 months." 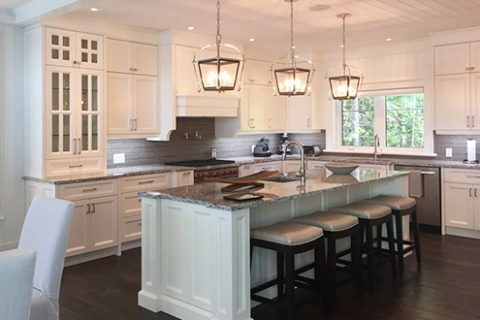 "Ken came highly recommended so I was confident he would be able to create the kitchen of my dreams. I was wrong....because Ken completely blew me away with the masterpiece he envisioned." "Everytime I walk into our new kitchen I'm very happy. 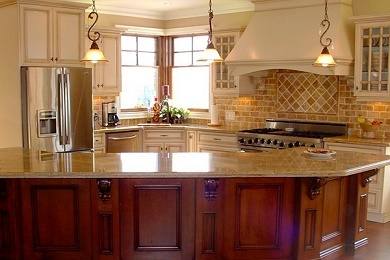 We would recommend Ritchie Custom Cabinetry to anyone. Super job!""